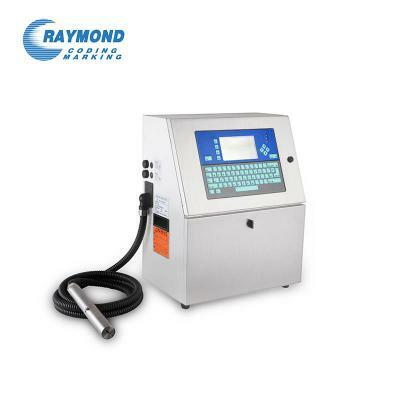 RAYMOND brand – Best Productivity with lowest cost of ownership identification manufacturer. We are committed to provide quality services for the identification technology and manufacturing companies worldwide. 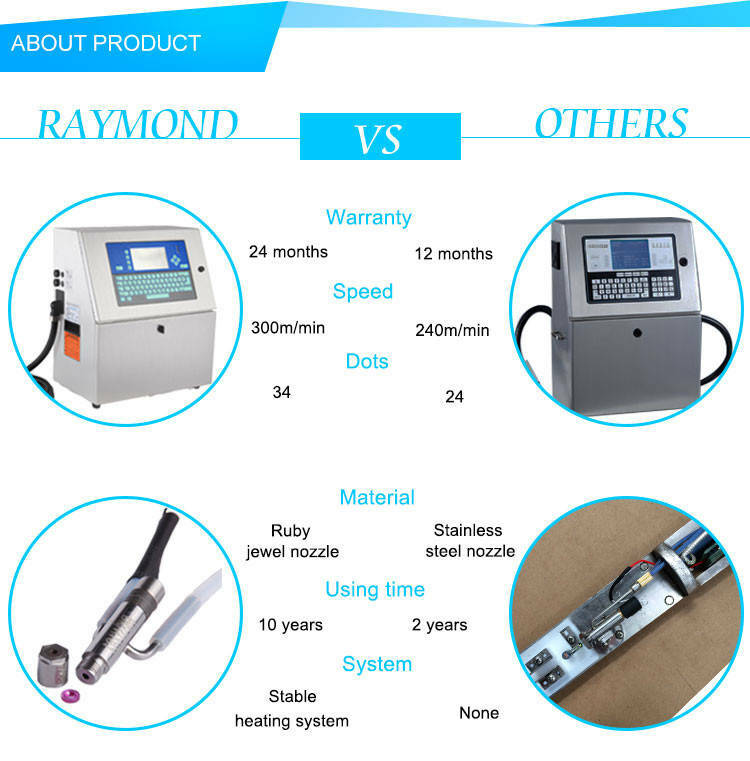 Raymond is the brand that meet the demands of the market due to effective research and development it is suitable for all manufacturing companies in the A300 inkjet printer (CIJ). It’s modern appearance, superior stability, high-quality printing and high utilization rates, effectively on production efficiency improvement and cost reduction. Full Chinese operation interface and easy to use. Supplies Modular System that can be directly replaced supply materials without machine shutdown, easy and fast to run. Intelligent self-diagnosis operating system to save extra time. A variety of environmentally performance ink can be selected to meet the needs of different printing products. Provides precise drop placement, high resolution and dot matrix distribution. High power with attached ink, to be clearly visible. Performing a variety of harsh working environment and stable work efficiently, with low failure rate. 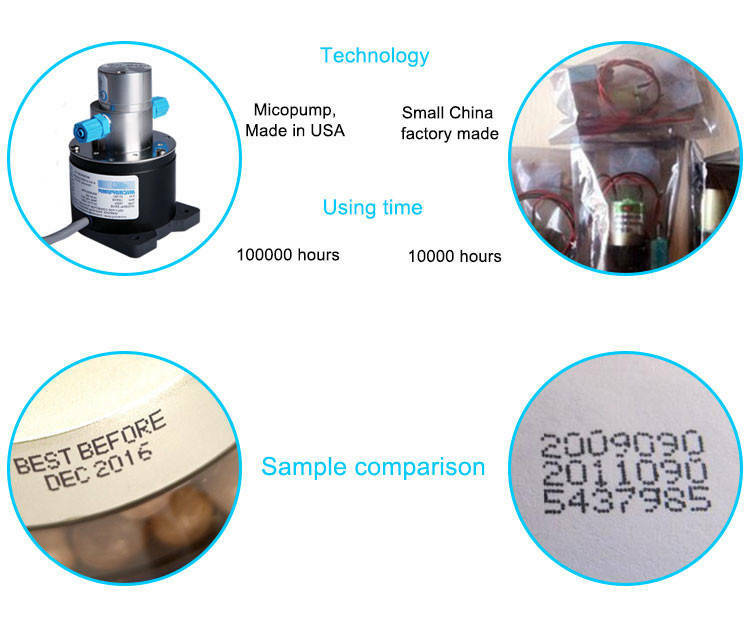 Can adapt to multi-industry, different material coding requirements. Full stainless steel chassis, simple design, durable and generous. With IP 55 protection against dust into the chassis, to prevent machine abnormal. 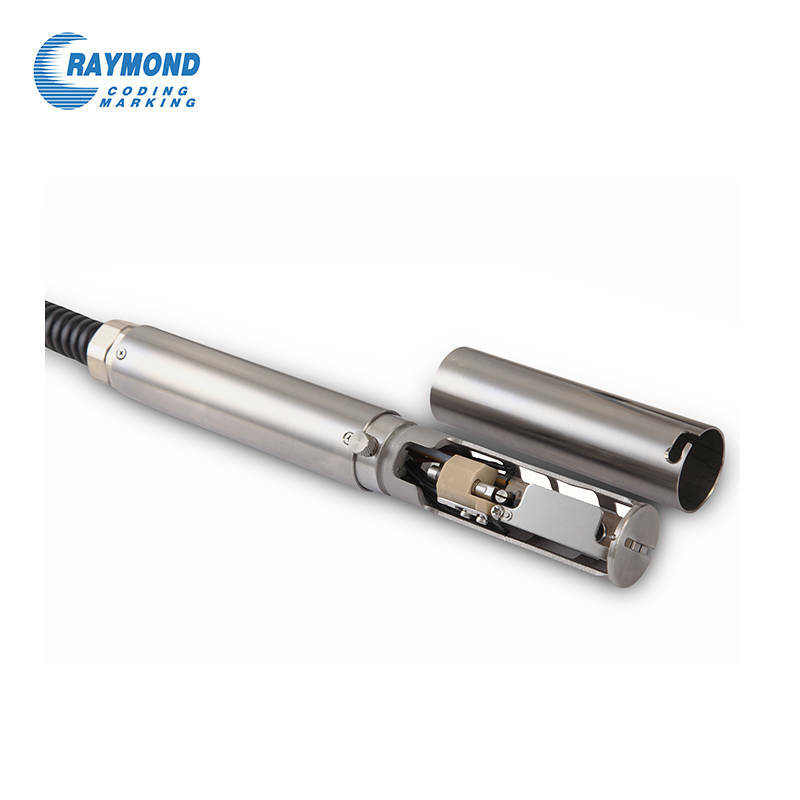 Efficient heat dissipation, to maintain work stability of electronic system. Ink system integration, easy maintenance. 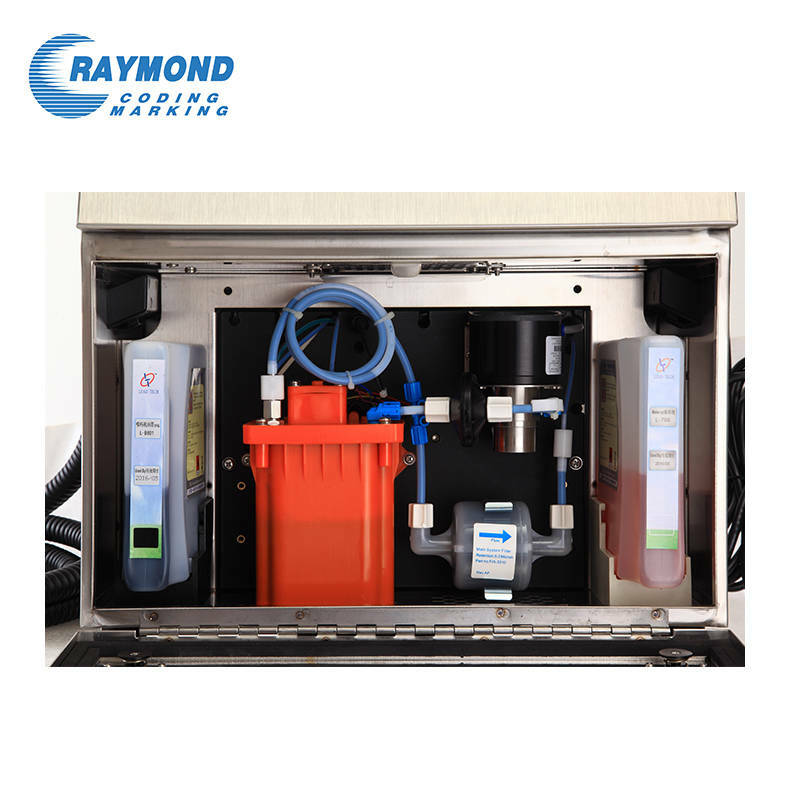 Stable ink pressure supply system gives you the perfect printing results. Insert and run, convenient and quick. Smart supplies identification system, default alarm by wrong inserting. Intelligent suppliers reading, high utilization and balance reminder. Constant temperature system design, greatly improve the accuracy of the ink droplets, improve the accuracy of the ink droplets, improve the quality of jet printing. 360 degrees all directional spray printing, suitable for any angle of the jet printing. Intuitive user interface---“what you see is what you gain’’. 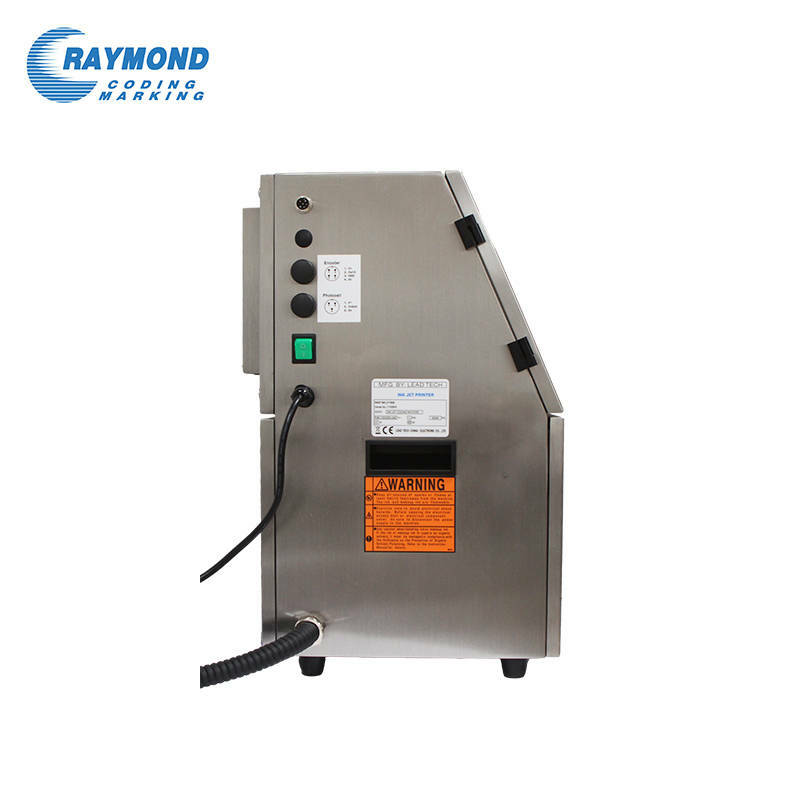 One – press – to – clean machine, routine maintenance without manual intervention. 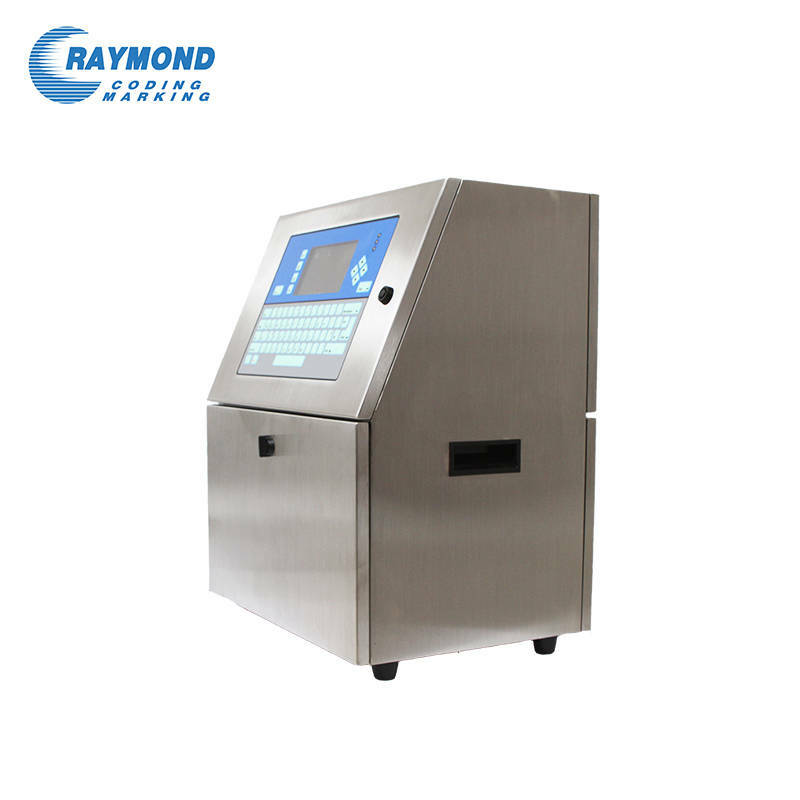 Machine with perfect functioning and intelligent controlling, easy to use and durable.